October Chamber Luncheon - Cancelled - Come to BEST instead! This month's Chamber Luncheon is cancelled due to UEA. 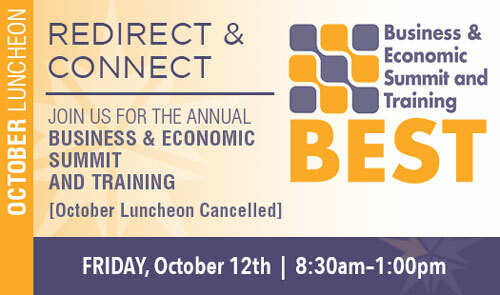 So Redirect & Reconnect at this year's BEST - Business and Economic Summit & Training - on Friday, October 12th. Click here for more information and to register.